Quickly and conveniently find the best lawyer at the best price to meet your unique needs. For just $5, post your job for lawyers to review and bid on. Then choose the lawyer and proposal you think is best for you. You can easily find those attorneys we rank the highest by the area of law they practice and by location. With so many different specialties, languages, locations and prices – shopping for a lawyer can be tough. 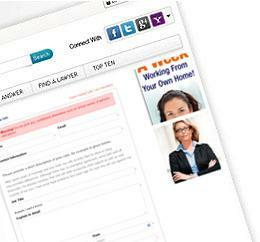 Our search features make it quick and easy to sort lawyers by those variables and many more. Why spend good money for answers to simple legal questions when you can get them for free? 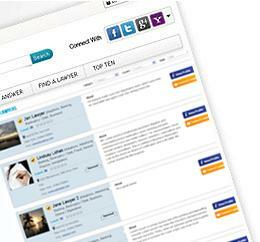 Search the archive for answers to questions already asked or post your own. And best of all, it’s free! Just fill in your details and preferences and we'll make our recommendations for the lawyer we think will best meet your needs. With Advokat.com, you don’t have to have a law degree to quickly get professional legal help when you need it. Whether trying to obtain a visa, incorporate a business, find a criminal defense attorney or draw up a will, the attorney search services of Advokat.com can help connect you with a lawyer with the expertise you need and at a price you can afford. Why make a bad situation even worse by relying on a lawyer whose credentials or skills you’re unsure of? You’ll find no more practical or useful tool in finding quality, affordable legal representation than Advokat.com. Need a lawyer but don't have the time or know how to look for one? 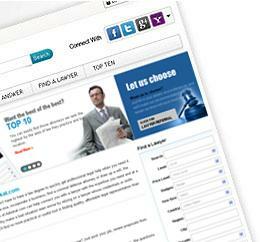 Just post your job, review proposals from lawyers and choose the one you think is best for you. Getting the answer to simple legal questions doesn't have to bust your budget. At Advokat.com, the questions and the answers are free. When only the very best will do, you can quickly find those attorneys we rank in the Top 10 for their legal specialty or location. Find out what other users have to say about their experiences with a particular lawyer - who ranks the highest and who doesn't make the grade. Take the guesswork out of hiring an attorney. Search by specialty, client satisfaction, location and more. List your own job, set your own price. With Advokat.com, you're in charge. Choosing an attorney with Advokat.com couldn't be easier. 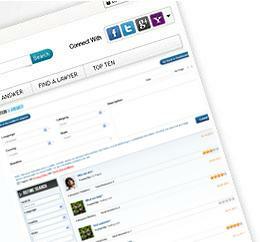 You can filter by location, specialty, online rating and more. Invite several to apply for a job and then compare their proposals and prices. Don't have the time or patience to thoroughly check the qualifications and feedback of a number of competing attorneys? Then, our referral option is just for you.